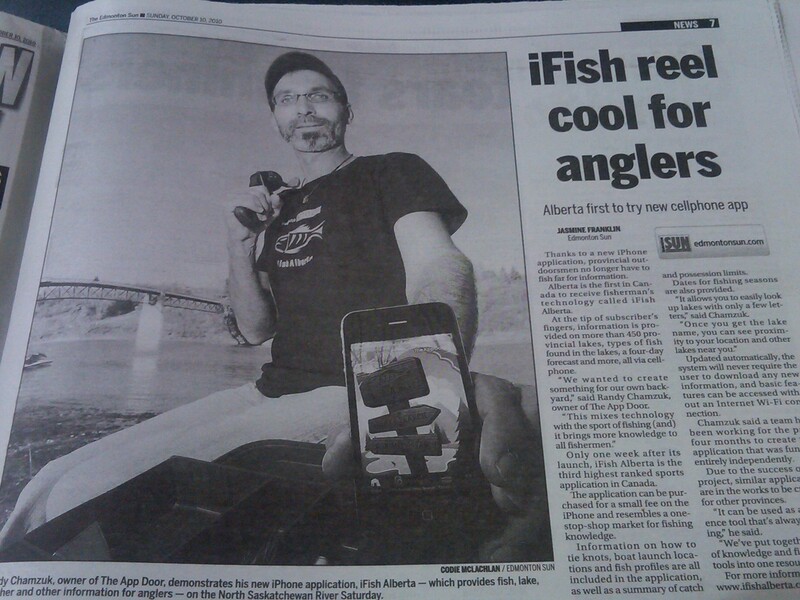 Since our release on the App Store, iFish Alberta has been featured in a number of news outlets throughout Alberta and the web. View articles, watch videos, and listen to some of our interviews below! 10/21/2010: The Next Web: Like to Fish in Alberta? There's an App for That. Seriously. iFish Alberta has been receiving much feedback and comments, see what some people are saying about us! "This app is amazing. The locate a lake feature helps find a lake quickly, and the fish information is great. I also love how it shows if there are any catch restrictions for a certain lake. The depth charts are awesome, and the whole thing just presents itself in a wonderful way. This application was definitely money well spent ... I would recommend this to anyone who is a fisherman or fish-watcher." As a family we love this app. My eight year old son goes on this app everytime he goes to a lake to find all the information he needs. Love it love it! "It's so helpful to have all this information at the touch of a button especially for a beginner like me! There is lakes within 50km of me that I've never even heard of! That's cool! "What a Spectacular App!!! Awesome Job"
"Wow I wish I would have had this app when I was a kid. 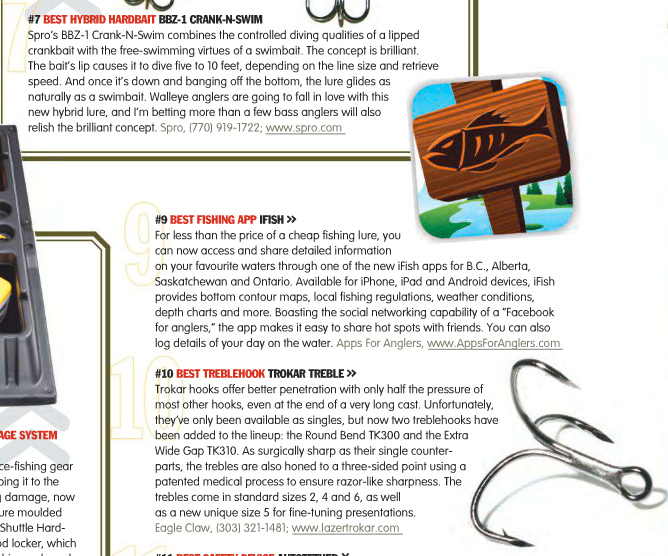 The information on here is exactly what you need as an angler in Alberta." "You don't have to be a fisherman to use this app! Camper's,Boaters,Water skier's, Canoe's,Sailor's,ice fisherman,basically anyone who is on the lake at any time of year."